Supreme Education Foundation School is a centre of excellence designed to provide world-class education in an exciting learning environment for students between the ages of 3 months to 18 years. Our structure begins with the Junior School comprising of the Crèche; the Early Years Foundation Stage, Key Stages 1 & 2. The High School comprises of Key Stages 3 & 4 (Years 7 – 12). 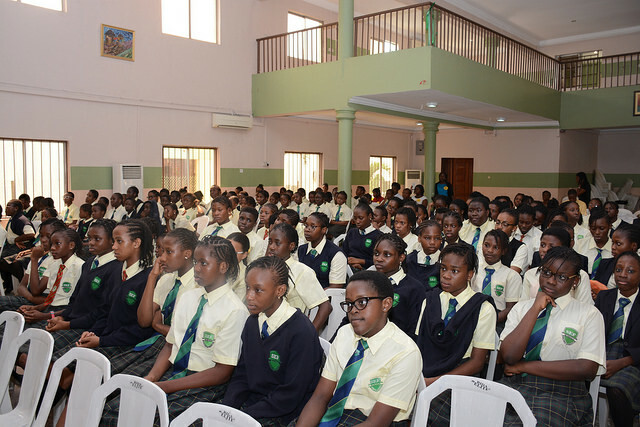 The School is located in Magodo G.R.A Phase 2, Lagos; about 30 minutes’ drive from the Murtala Mohammed International Airport. The serene setting provides a stimulating environment for learning. Established in 1991, the school is co-educational and multi-cultural, providing access to day, partial and full boarding options for students. A culture of excellence permeates everything you will experience in all aspects of the School; we are committed to training the total child by providing an all-round qualitative education.